Valley Fight League promoter Lionel Royer admits that he doesn't know a heckuva lot about Eric Irvin. One look at the event poster to promote Saturday's VFL 40 in Altoona, PA would verify that. Despite fighting in the main event, Irvin's photo or name is nowhere to be found. And that's just fine with the Destruction MMA product. Irvin (5-2) gets the chance of his fighting career on Saturday when he faces Charlie Brenneman (15-5), an eight-fight veteran of the UFC. Brenneman gained fame in the fight world at UFC on Versus 4 in June, 2011 when he stepped in for Nate Marquardt, who failed his medicals, and defeated Rick Story in the main event. Brenneman would go on to lose three of four fights and was cut by the organization in September and ever since has plotted his road back and Irvin is the first checkpoint on the way there. About Saturday night, Brenneman told Fightland.com that, "I want to get in and out as quickly as possible." 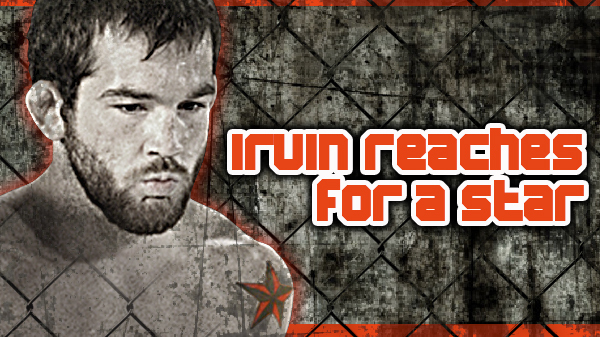 Irvin is determined to make sure that isn't the case and looks to spoil the homecoming of the Pennsylvania native. "His back is against the wall. It's win-win for me," Irvin said. "If I win, then I'm right up there. If I lose, it's not going to hurt my career. I'm trying to get some big opportunities under my belt and derail him from coming back up. Obviously they think I'm a formidable opponent. He's not going to get back into the UFC fighting scrubs off the street." "This kid has nothing to lose," Royer said. "On paper, the experience and the amount of fights definitely make him the underdog but it doesn't always work out that way." Royer said finding the right opponent for Brenneman wasn't easy. "(Charlie) has been embarrassed in the UFC with his standup," Royer said. "I don't think they wanted a BJJ guy with great standup. (Irvin) is more of a wrestler." That type of scouting report sits just fine with Irvin. "I'm a good wrestler from Missouri is what everyone says and I'm going to leave it at that," Irvin said. "All I can do is wrestle." Irvin is a grinder but a gifted grinder at that. And, he's no newbie to the ways and means of the sport. He knows not only will the beer-filled crowd be rooting for his demise but the three individuals with scorecards and pens will be watching with skeptical eyes. "I'm in his hometown. I can't leave it to the judges. If it's close, I'm losing," Irvin said. "I already know that. If it comes to the third round and I feel like I'm losing, you can bet that I'm going to throw everything but the kitchen sink at him." It's not all going to be roses for Brenneman. A lifelong welterweight in MMA, this will be his first fight at lightweight. "Charlie was in the wrong class," Royer said. "He never did cut much. He was always 175-178. Now he will be a big 155." To many he may not have many advantages going into the fight but Irvin thinks this aspect may help him. "Is the cut going to hurt him? I don't know. It might," Irvin said. "Generally it does most people. He better be in shape because I'm in shape. The later it goes the better for me. The only way I see him beating me is laying on me and I'm not going to let that happen. He's going to get tired trying to hold this guy down." To prep for the fight, Irvin changed up some of his training, venturing to Grindhouse in Kansas City to spend a week right after Christmas. Irvin's former roommate, Tim Elliot, trains there along with a slew of topflight fighters. "I just wanted to get some new looks," Irvin said. "Tim wanted me to help get him ready and it was just perfect. We got to train three-times-a-day for six days. I learned a lot. They do things that are totally different than what I'm used to, which is totally awkward but also just super awesome to get a different aspect." Irvin will have a small entourage of support. Destruction MMA coach Joe Worden will work his corner and his aunt and uncle from Washington D.C. have bought cage side seats. Other than that, he's all on his own. "I'm going into the belly of the beast," Irvin said. "I'm going to walk out and everyone is going to boo me and hoorah him. I feed off that stuff. I was in a three-day tournament one time and it was the same thing. They were booing me but when I won that tournament, they weren't booing and they knew who I was. Win or lose, they're going to know I was there." 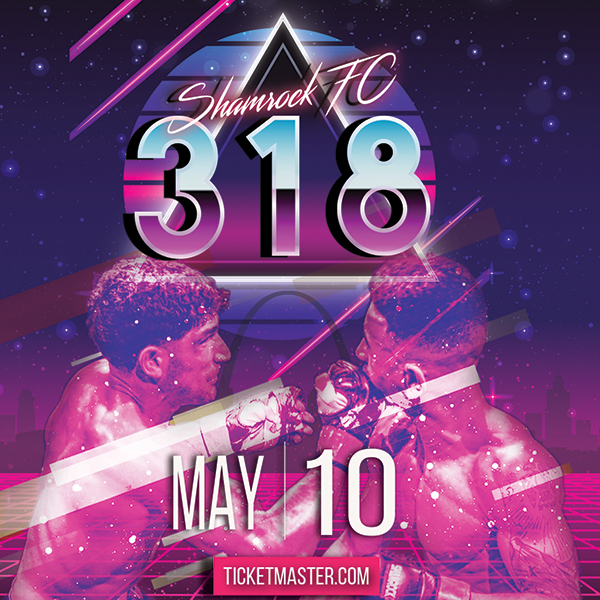 With a local MMA hero making his return to the cage, the anticipation is starting to swell around the matchup. "I'm anxious to see the fight," Royer said. "This fight has some nice buzz going and people are talking, that always good. Now the TV and radio are starting to pick up on it. I hope it is a barnburner."